Join us for the 4th Annual Moonlight Ride! 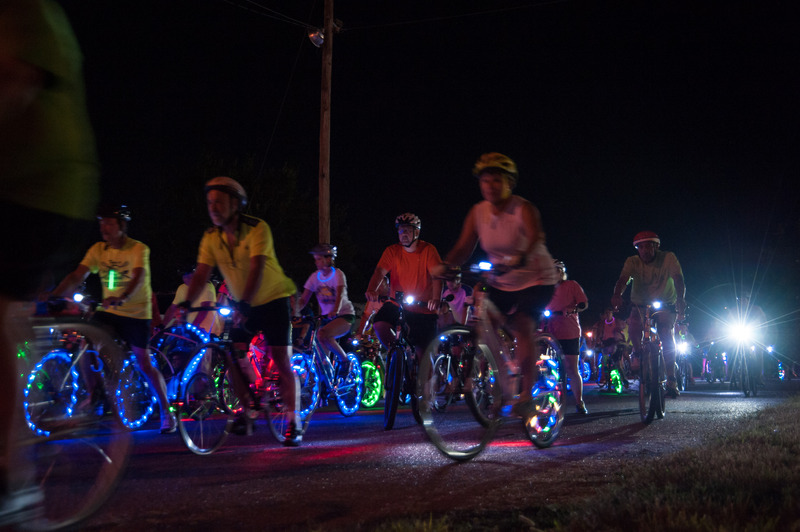 A 10-mile mid-summer night “glow” bike ride through the low-trafficked streets of downtown Paducah. Thanks to our friends at BikeWorld & Chain Reaction Cycling Club for coordinating this event. Proceeds benefit PCM. Register by July 8th and save money on adult registrations and guarantee your very own official Moonlight Ride shirt! You can register online at Active.com or drop in BikeWorld at 809 Joe Clifton Drive.